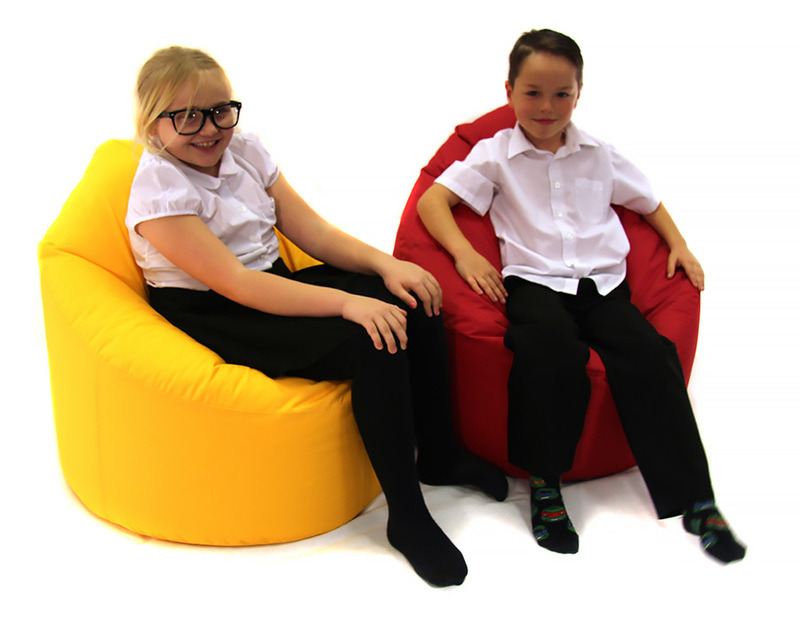 Our bean bag chair is a soft and comfortable children’s bean bag available in 15 bright colours. This bean bag is ideal for use in classroom reading corners, school libraries and soft play areas. The bean bag is shaped into a chair and is perfect for little ones to sit in and enjoy a story, share a book or have some quiet time. Filled with polystyrene beads, these school bean bags have a tamperproof zip – ideal for use around young children. The fabric cover is a tough, water resistant fabric which is tear and puncture resistant and can be wiped down or spot cleaned. As the fabric is water resistant this bean bag chair can be used outside but we recommend that it is not left outdoors or leaving uncovered in the rain. Ideal for use in early years’ environments in schools, nurseries, pre-schools and playgroups.